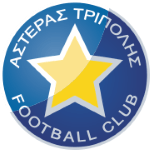 At present, Asteras Tripolis is in twelfth place in Super League (Greece), while in Greece Cup (Greece) (group Gr. 6) they are leading. Giannis Bastianos stands 173cm high and thus is 7cm smaller than his team on average. Giannis Bastianos is a right footer just as 63% of Asteras Tripolis. In July 2016, Greek, Modern (1453-) forward Giannis Bastianos joined Asteras Tripolis (Greece), whom he is still playing for. Until now, he has been present in two games. Having been born in 1998, on April 29, his age of 20 makes him junior to the average player of Asteras Tripolis. Giannis Bastianos weighs 68kg which is 7kg less than his team's average heftiness. So far this season, he tied 50% in Super League and won 100% of Asteras Tripolis's matches in Greece Cup. They also managed to win 3 fixtures in a row in Greece Cup. In terms of top seasons, the Greece Cup 18/19 (Greece) was his best one yet, breaking one personal record in terms of goals. The briefest time Giannis Bastianos's spent on a team counts eight months in Veroia FC (Greece). Apart from Giannis Bastianos, Marc Fernandez Gracia, Michalis Manias, Christos Albanis, Alexandros Tereziou, Nikos Kaltsas, Christos Aravidis, Anastasios Douvikas, Giannis Kotsiras and Kosmas Tsilianidis are also forwards of Asteras Tripolis. Throughout his time as professional football player, he was sanctioned with a card only three times resulting in a mean value of 0.75 cards per play time. This season he was given but one penalty. He played 22 matches in total and hindermost appeared 49 days ago. At Asteras Tripolis, Giannis Bastianos is the owner of jersey number 90. With each day at Asteras Tripolis, he is extending his personal record stay with a club which counts two years and 10 months for the time being. He was contracted to a few clubs during his professional career, one of them being Veroia FC, for whom he played before coming to Greece. Altogether, Giannis Bastianos was substituted in 6 and out 2 times. Currently, he entered the pit more than he left it which is different to last season wherein he showed an equal amount of both types of subs. In the recent term, he managed to find the net twice and provided not once additional assists which accounts for 28.6% of Asteras Tripolis's goals in Greece Cup 18/19 (Greece). He scored an average of 1 goals and provided 0 assists per game so far, marking a improved performance when compared to last season, when he had 0.1 strikes and 0 assists per match.